Cinnamon is one of the oldest known spices in the world and is even mentioned as far back as the Bible. This beautifully fragrant spice is farmed in Sri Lanka and India and is commonly used in both cooking and baking all across the world. 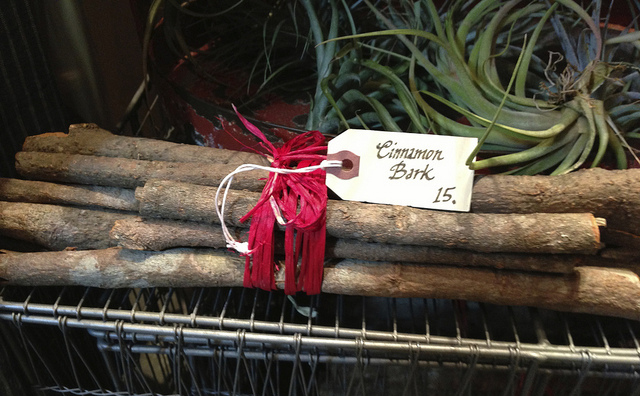 However, for many of us it’s rarely used except as a winter spice that we add to cakes or a hot toddy. Most of us are completely unaware that cinnamon, in its natural oil form, has some incredible and far reaching health benefits, helping to cure illnesses and improve our health and wellbeing. Where Does Cinnamon Oil Come From? Cinnamon oil is obtained from both the leaves and the bark of the cinnamon plant to produce pure cinnamon oil which is naturally rich in the antioxidant catechins and high in calcium, iron, manganese and fibre. The health benefits of cinnamon oil are seen primarily in the enhanced functioning of the body’s systems from improving digestion and poor circulation to regulating blood sugar levels and menstruation. It has been used for centuries in both Chinese and Ayruvedic herbal medicine. There have been studies that show how cinnamon can help to offset the symptoms of type 2 diabetes, helping to stabilise glucose and insulin sensitivity. Many diabetics add it to drinks, food or even take a cinnamon oil capsule supplement and have found that this has resulted in a reduction in the amount of insulin they need. Because of the high levels of Manganese found in cinnamon, it can be used as a natural way of reducing the effects of PMS. It can reduce mood swings and stomach cramps and the active compound, cinnamaldehyde also helps to balance hormone levels. Cinnamon Oil’s unique healing properties come from it’s three major compounds of cinnamaldehyde, cinnamyl acetate, and cinnamyl alcohol which have widely known anti-inflammatory properties. Cinnamon oil is widely used to relieve sore and stiff muscles and joint pain. Arthritis sufferers are often advised to use the oil to mitigate their symptoms as Cinnamon oil can improve blood circulation and has a warming effect. Cinnamon oil is already widely used as a pain relive for headaches and migraines, by reducing pressure and pain. Studies conducted by Dr Zoladz in 2004, showed that inhaling the scent of cinnamon oil can improve memory, alertness, focus and cognitive function. The study showed that those who regularly used cinnamon oil were able to process mental tasks far better and even improved their motor response and their mental powers. Cinnamon improved the subjects cognitive processing specifically in relation to working memory and visual motor-speed. The study suggests the potential for use of cinnamon oil with the elderly and its beneficial effects on cognitive decline such as Alzheimer’s Disease. Cinnamon oil is naturally high in fibre which plays an important role in providing relief from diarrhoea and constipation, whilst also reducing the feelings of bloating. Yet it’s the oil’s ability to kill bacteria and heal infection in the intestinal tract that is the major benefit in fighting IBS. Cinnamon has been shown to reduce both LDL cholesterol and blood triglycerides (fats) all without affecting the good cholesterol (HDL). Some studies suggest that due to the high levels of calcium and fibre found in cinnamon oil, it can provide much needed protection, lowering harmful cholesterol if key in reducing the potential for atherosclerosis, heart disease and diabetes. According to scientific studies Cinnamon oil is one of the most potent natural antimicrobial substances on the planet. It has been shown to be highly effective in combating bacteria, viruses and fungi making it effective in the treatment of a range of conditions from athletes foot to ringworm and Candida to apergillus. In test performed on yeast for example, the anti-fungal medication fluconazole was actually found to be less effective than simple cinnamon oil. In a further study in 2003 by the Journal of Food Microbiology, adding a few drips of cinnamon oil to food prevented the growth of food borne bacteria for up to 60 days. Many people add cinnamon oil to tea to help fight colds and viruses and the oils can even be used to sanitise and disinfect the home. Studies conducted in New Zealand found that cinnamon was highly effective in killing Streptococcus mutans, the strain of bacteria responsible for tooth disease and gum disease. Due to its ability to kill parasitic and bacteria infections especially E.coli, Salmonella and Campylobacter, cinnamon oil is often used to fight food poisoning. Commonly oil is added to tea to help cure the symptoms. Cinnamon oil contains a range of antioxidants which can help combat free radicals in the body that leads to cancer and ageing. Cinnamon oil can therefore repair the damage caused by these free-radicals throughout the entire body from the skin to organs. There is some evidence to show that bacteria in the gut may make us more susceptible to depression. Due to cinnamons powerful antibacterial properties, it may prove beneficial in the removal of bad bacteria. 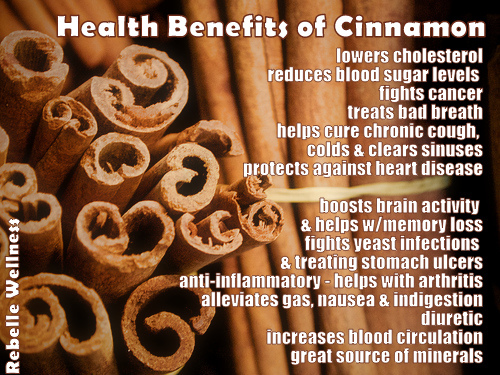 Anecdotal studies show that cinnamon can reduce irritability and enhance our mood. It is believe that the sweet fragrance of cinnamon has a natural uplifting effect on our mood when we diffuse the oil and breathe it in. Because cinnamon oil can increase circulation and stabilise blood sugar levels it helps to reduce food cravings, allowing more control over eating and calorie consumption. The increased blood flow also improves metabolism. Cinnamon oil is by far the most effective form of cinnamon, but because the oil is so potent it can cause irritation to the skin and mucous membranes. It is recommended that you avoid consuming it orally in undiluted form. You can apply the oil direct to your skin but it’s recommended that you try the oil on a small area of skin first to ensure that you don’t have any adverse reactions. When consuming cinnamon oil orally it is best to add it to other oils or even inhale or diffuse it. Diane Rennison is a certified personal trainer and fitness expert at MotivatePT where she helps clients adopt a healthier lifestyle.